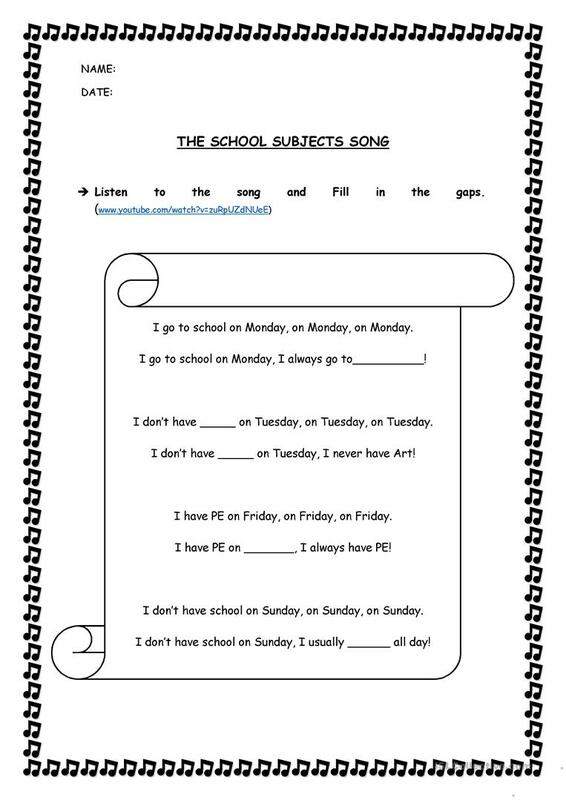 The pupils have to listen to the song and/or watch the video in order to fill in the gaps of the lyrics. . The above downloadable handout is recommended for elementary school students at Beginner (pre-A1) level. It can be used for working on your class' Listening skills. It centers around the theme of School.